...I probably COULD have learned from a tree. Eventually. how they're experts at letting things go." Next Tuesday's Song-ography title suggestion is "Thinking Out Loud) by Ed Sheeran. Stunning. Trees are always magical at all times of the year. Wow, yes! I never quite thought of the object lesson before, but I'm really digging that thought. Gorgeous shot. Yes. THIS is why I LOVE winter trees!!! Love this, the contrast is stunning. Awesome quote! The trees have been so stunning lately against the sky! Exquisite Tree shot! Elegant and creative! I like that. Trees that are honest. Wow! I am ready to let winter go.............:) I have a feeling you are too! Trees put it all out there - everything they've got, hiding nothing - less than exact, hardly perfect, sometimes crooked, fat, and old. And they are something to behold each and every season, year in and year out. Gorgeous quote and photo too. Have a lovely day. Gorgeous shot, and I agree with the wonderful winter view of these trees. Each one different, like the soul of the tree. You've certainly captured the grandeur of this magnificent tree. 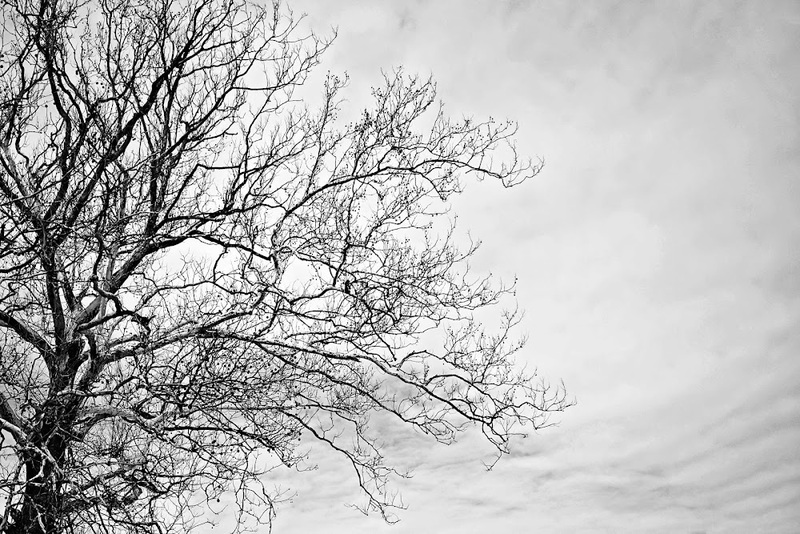 I love this image of the bare branches against the grey sky. and the quote that goes with it. Have a wonderful weekend. I am joining you over at Communal Global.